Donetsk Opera and Ballet Theater [Донецький академічний державний театр опери та балету ім. А Солов’яненка; Donetskyi akademichnyi derzhavnyi teatr opery ta baletu im A. Solovianenka]. Established in 1932 in Donetsk as the Donetsk Traveling Musical Theater, which was formed out of the Luhansk and Dnipropetrovsk opera theaters (see Dnipropetrovsk Academic Opera and Ballet Theater). The theater building was erected in 1935–44; it was designed by the architect L. Kotovsky. 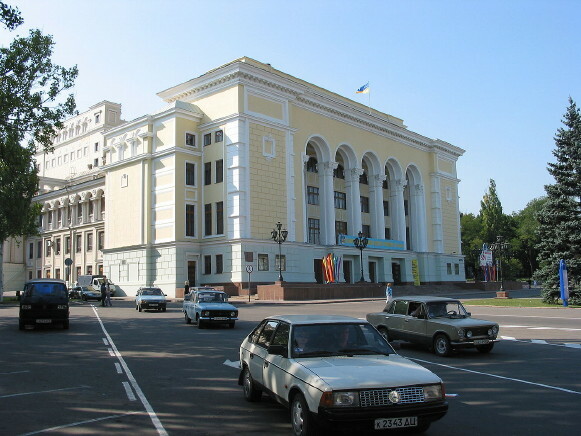 In 1941 it was renamed the Donetsk Russian Theater of Opera and Ballet. Since 1948 the theater has had a ballet school. In 1977 it was granted the academic theater status. In 1999 it was named after the opera singer Anatolii Solovianenko and assumed its present designation. Historically, the repertoire of the Donetsk Theater consisted mostly of world and Russian opera and ballet classics and the works of Soviet composers. The opera directors Oleksander Zdykhovsky and Ye. Kushakov (since 1968) have worked at the theater. Among its conductors have been I. Latsanych, T. Mykytka, and Vasyl Vasylenko. The ballet masters M. Trehubov, Mykola Yefremov, V. Shkolko (since 1979), and Nataliia Slobodian have worked there. 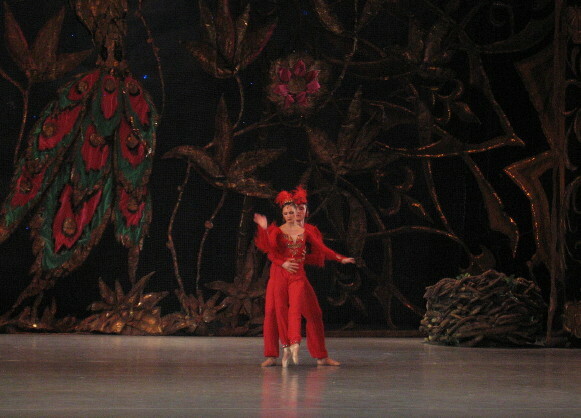 The theater's best-known singers were Raisa Kolesnyk, Oleksandr Korobaichenko, Mykola Momot, H. Kyrylina, and Anatolii Solovianenko, and its best-known dancers were Ye. Honchakova and H. Kyrlylina. Among its chief stage designers was B. Kupenko. In 2014 the theater was awarded the Shevchenko Prize for its performance of Richard Wagner’s opera The Flying Dutchman.